There are still several months to go before David Lynch’s Twin Peaks is back. 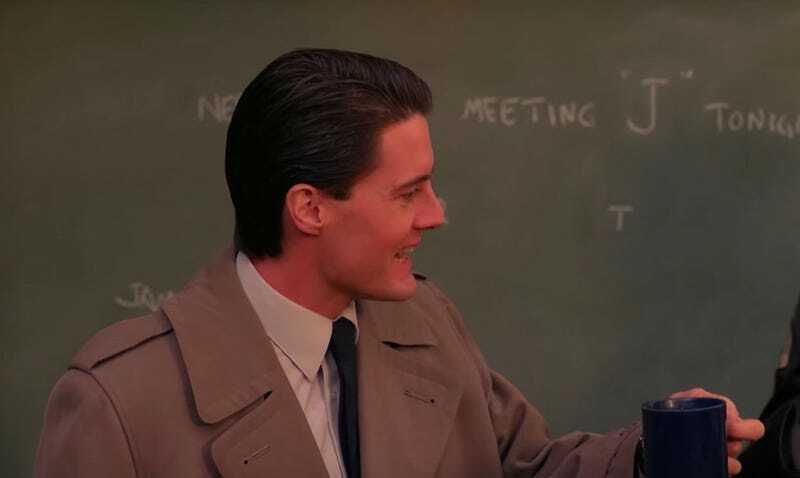 Plenty of time to catch up on the original run of the show, and do so with a damn fine cup of coffee. Showtime just uploaded this perfect little video meant to alert fans new and old that it’s going to start reairing the original Twin Peaks on Sunday nights. In it, fans can enjoy all the references and newbies can scratch their heads at the weirdness. Unfortunately, there’s nothing from the new series here, but it’s still worth watching. These new episodes lead up to May 21 when the new episodes start to air. I myself have never watched the show, but I do love coffee and pie and I heard really that’s all you need.